As France and Germany have become major targets of jihadist terrorism, the calls for stronger cooperation in counterterrorism at the European level have grown in earnest. However, a comparative analysis of the national experiences from both countries evidences significant differences in terms of political culture, institutional division of labor, and legal oversight. 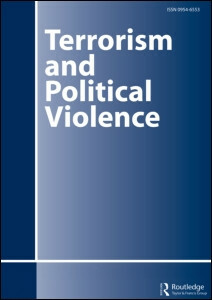 Counterterrorism practices can be described following a typology of three broad categories: a military-oriented policy that aims to prevent, deter and retaliate against terrorists; a regulatory policy that strengthens the legal and judicial resources to address the terrorist threat; a diplomatic approach that focuses on negotiations, and sometimes accommodation. Whereas France moved after the 2015 attacks towards a military-oriented policy, Germany has so far opted to sustain its traditional regulatory approach. This article details the differences between Paris and Berlin regarding the contemporary public debate on jihadist terrorism, to the law enforcement framework, to the deradicalization programs as well as to the role of armed forces. The paper identifies a clear divergence in each of these sectors. As the future extent of bi- and multilateral lateral efforts in the field of counterterrorism are likely to rise, these differences should be better taken into account.